It is important to nutritionally support your toddler’s rapid growth and development. For a toddler whose dietary intake may not be adequate, a scientifically-designed toddler supplement specifically designed for their immune system and brain development can help your child meet their dietary needs. We offer two nutritional toddler supplements (Aptamil Gold+ 3 and Aptamil Gold+ 4). A premium supplement for young children from 2 years of age, Aptamil Gold+ 4 Junior Nutritional Supplement is specially designed to help meet the dietary needs of active or fussy children whose dietary intake may not be adequate. Formulated to support growing children when consumed as part of a healthy and varied diet and prepared as directed. 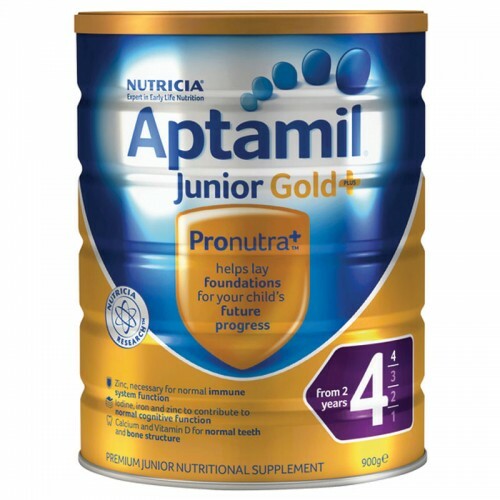 Aptamil Gold+ 4 Junior Nutritional Supplement is designed to help meet the dietary needs of young children aged from two years old, whose energy and nutritional intake may not be adequate.